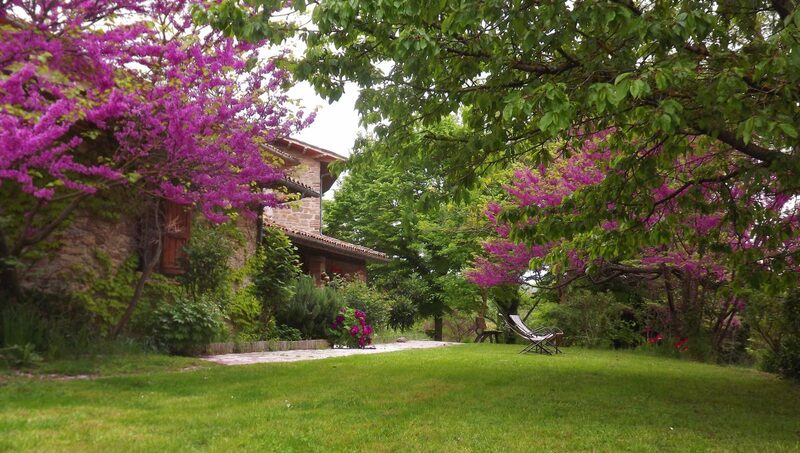 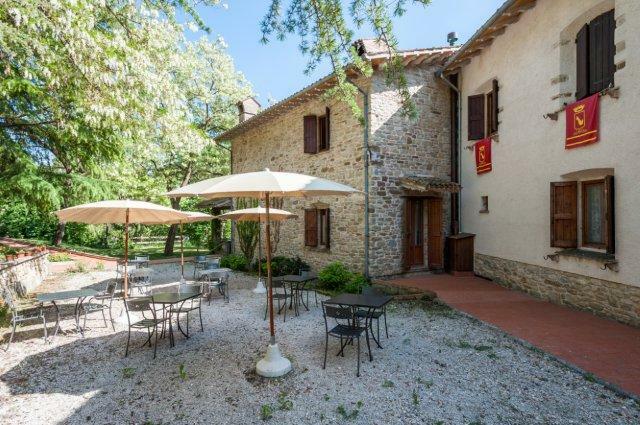 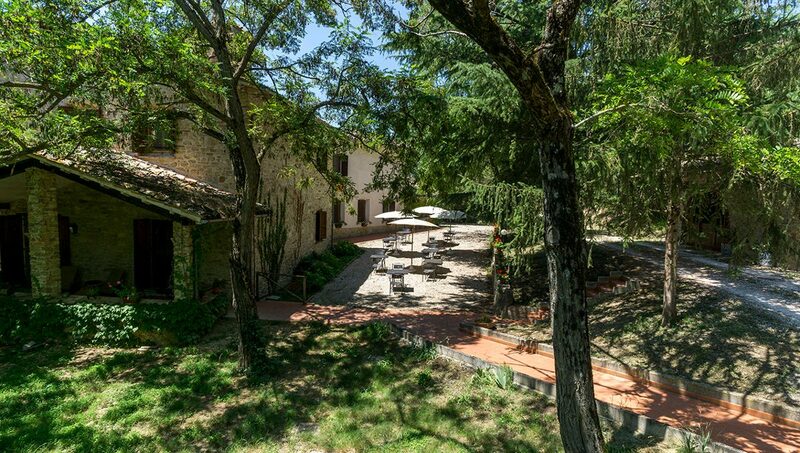 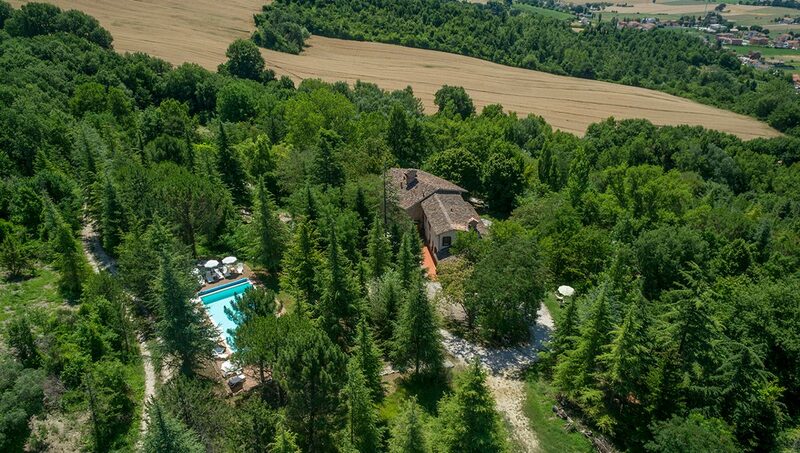 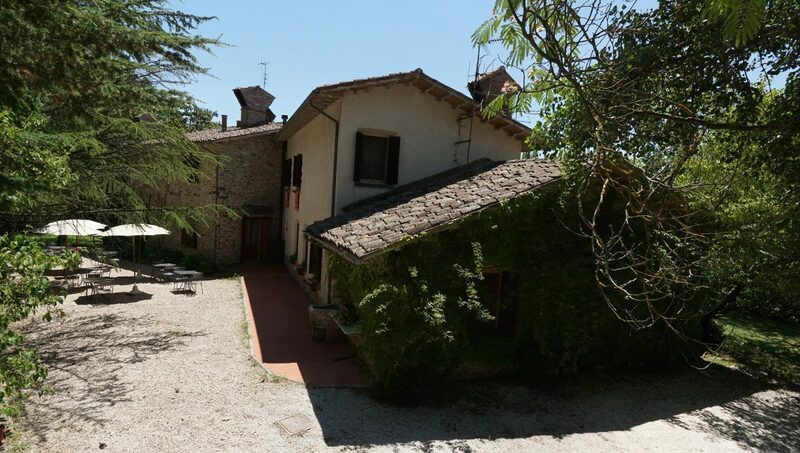 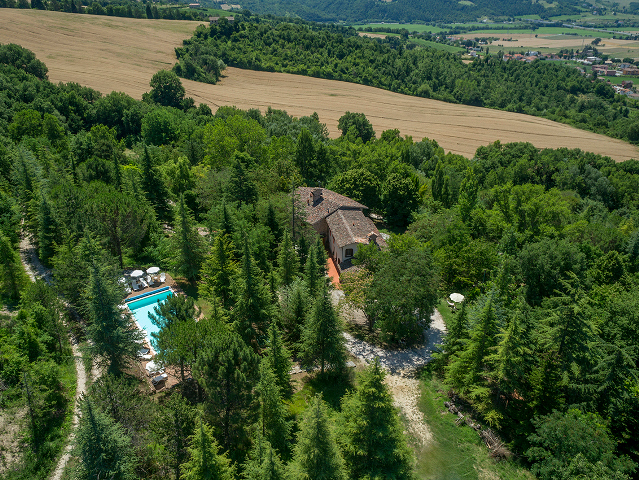 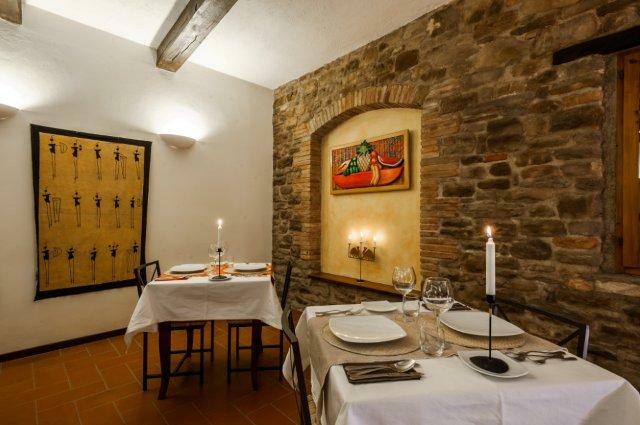 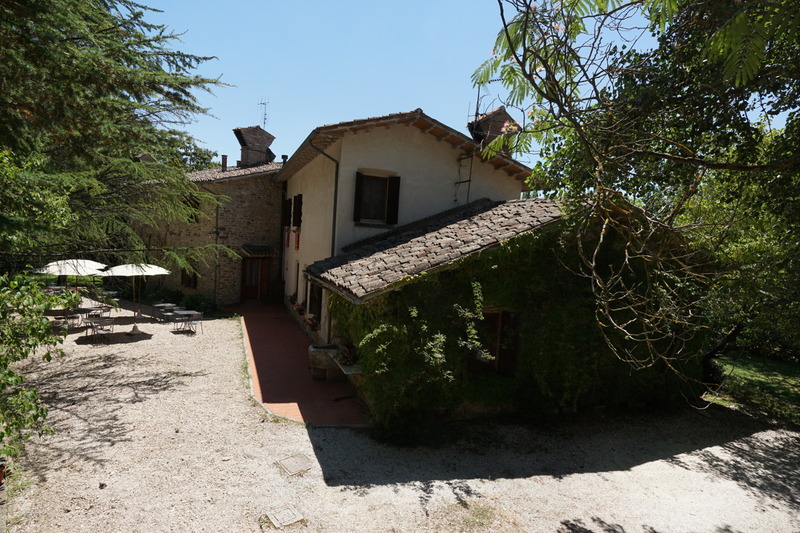 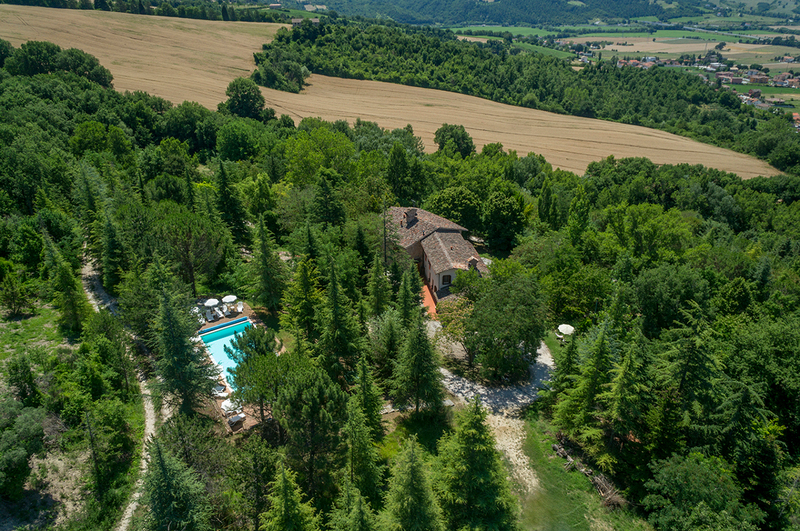 Casa Branca is located only 12 kilometers from the medieval town of Gubbio, in the region of Umbria – the green hearth of Italy between Tuscany and the Adriatic Sea. 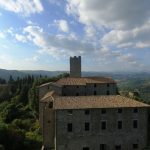 destinations of the region, such as Perugia, Spello, Umbertide, Città di Castello, Montone, Orvieto, Todi and Spoleto, all of them at more or less an hour by car, the same as the seaside villages and towns on the Adriatic coast. 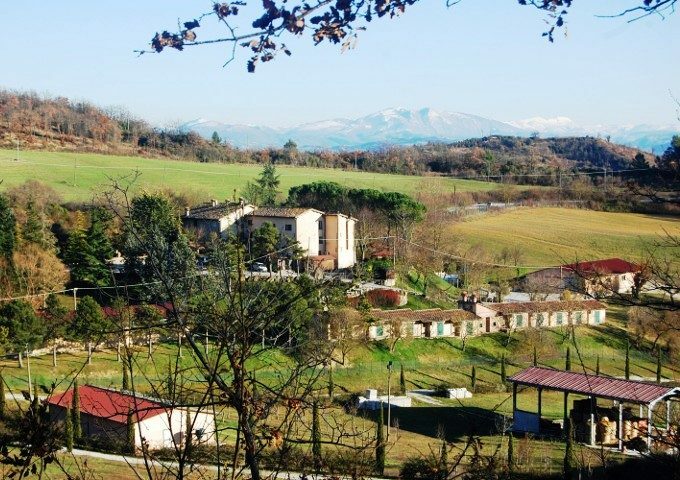 The closest railway station is Fossato di VIco-Gubbio, at about 10 minutes by car, and the closest airports are Ancona and Perugia, at 40/45 minutes by car. 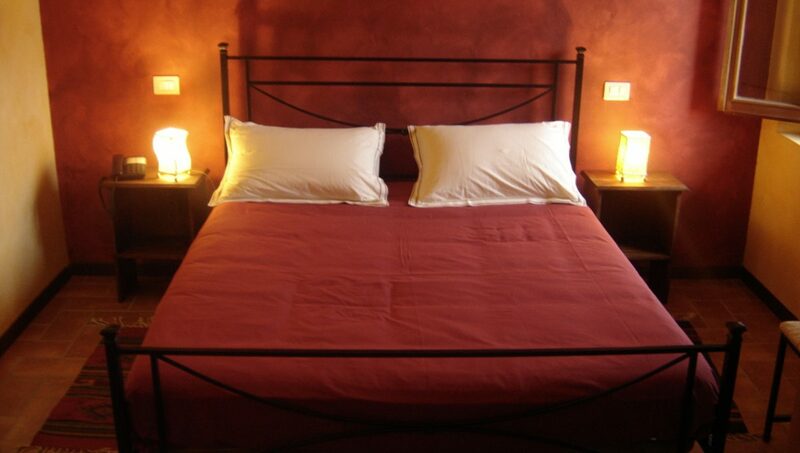 Rome at about 2 hours and a half. 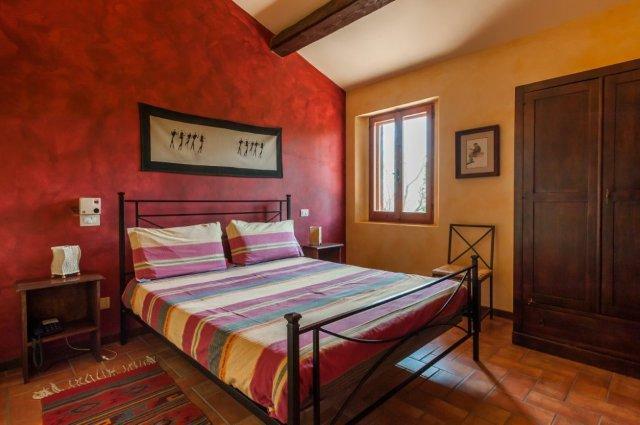 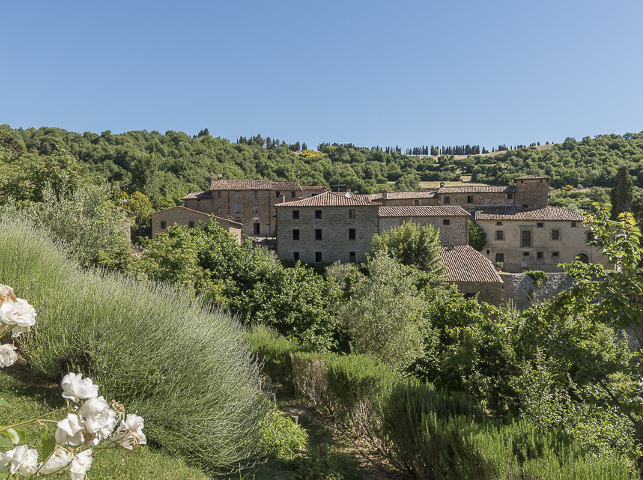 Casa Branca overlooks the countryside from top of a hill at at ten minutes from Gubbio, a medieval jewel perfectly preserved where local people still spend their daily life as if time hadn’t passed through centuries. 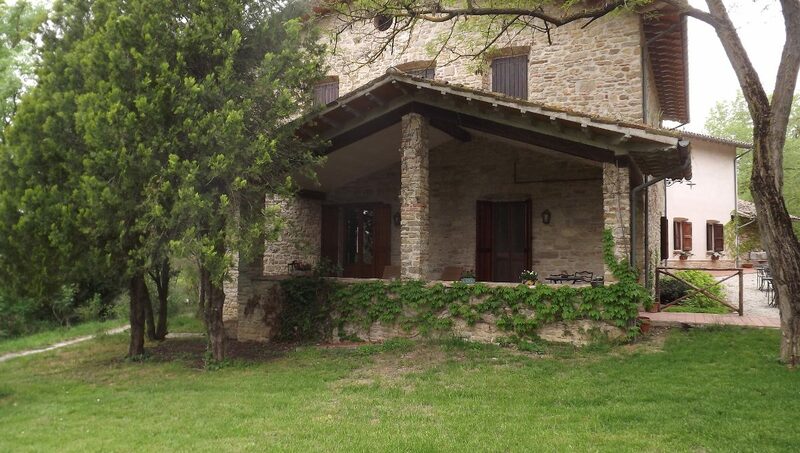 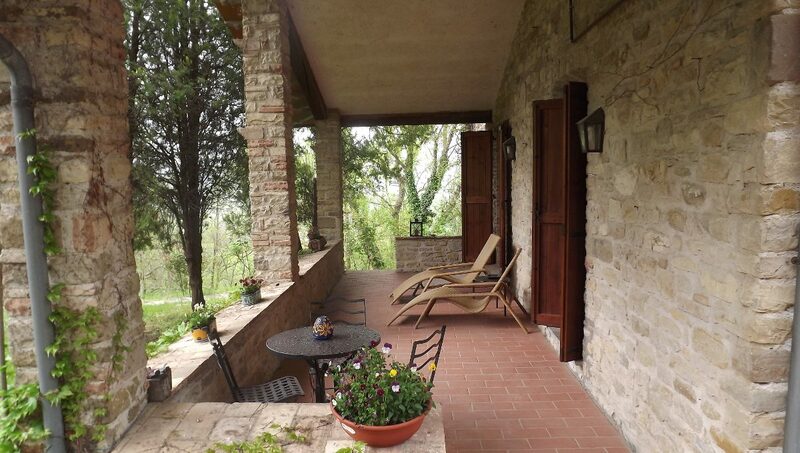 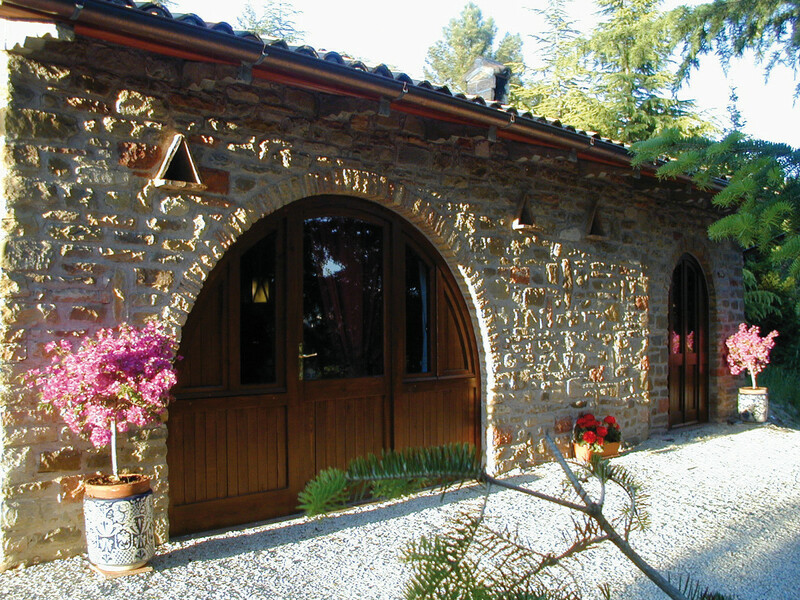 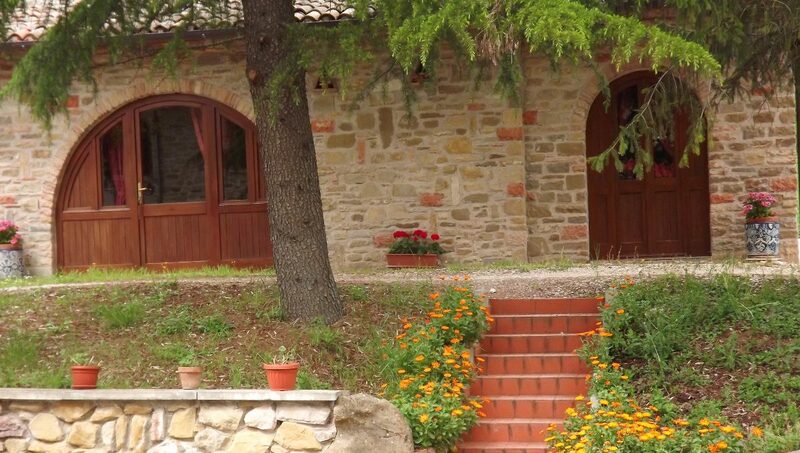 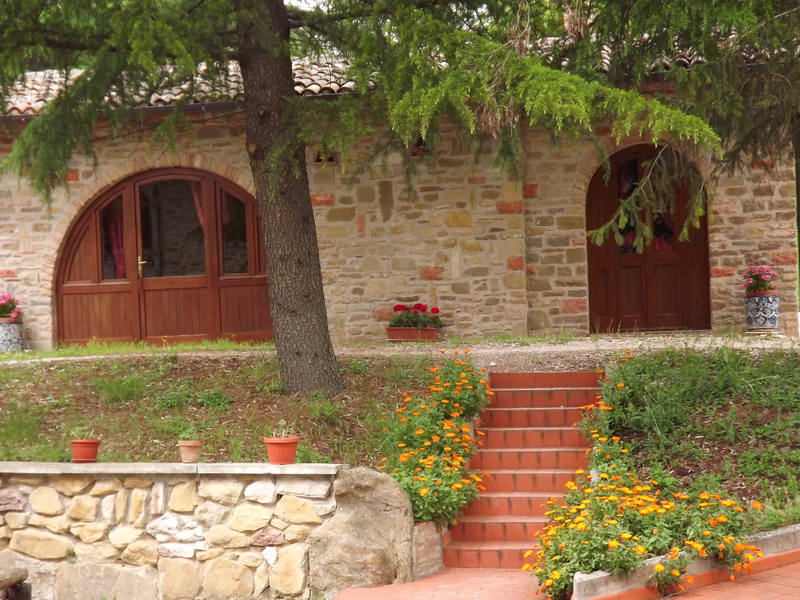 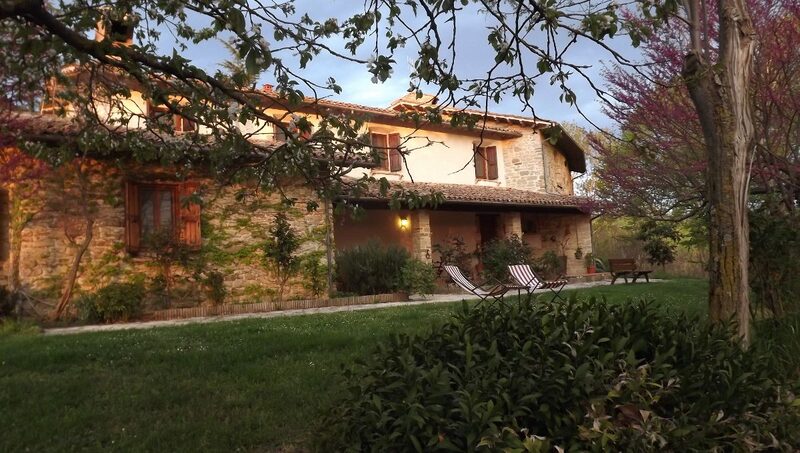 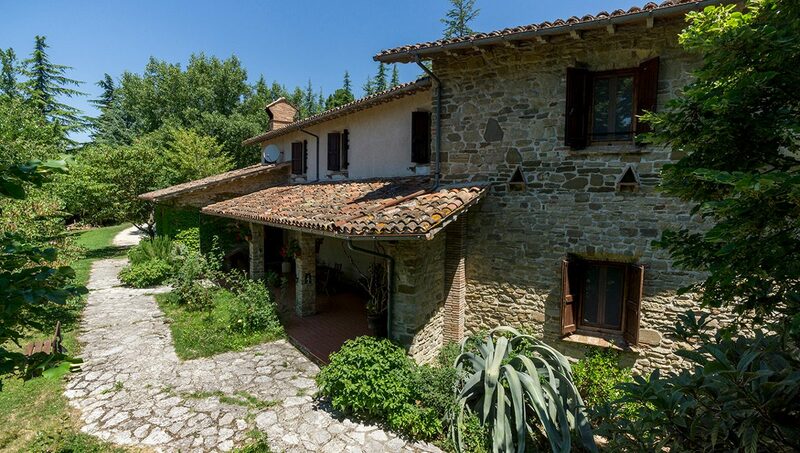 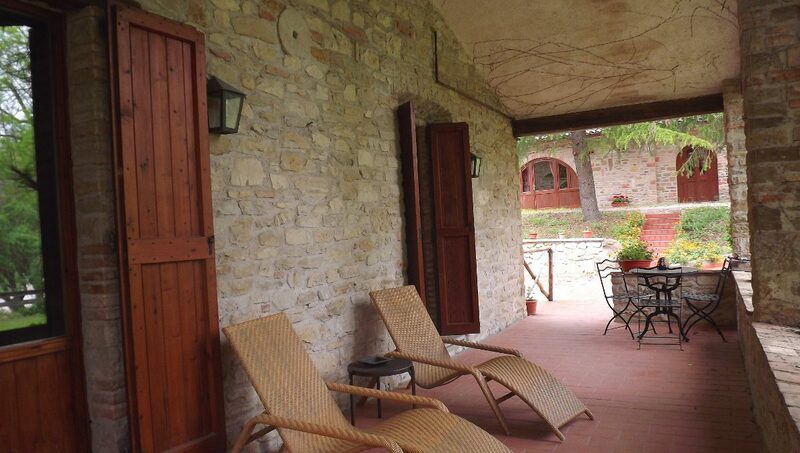 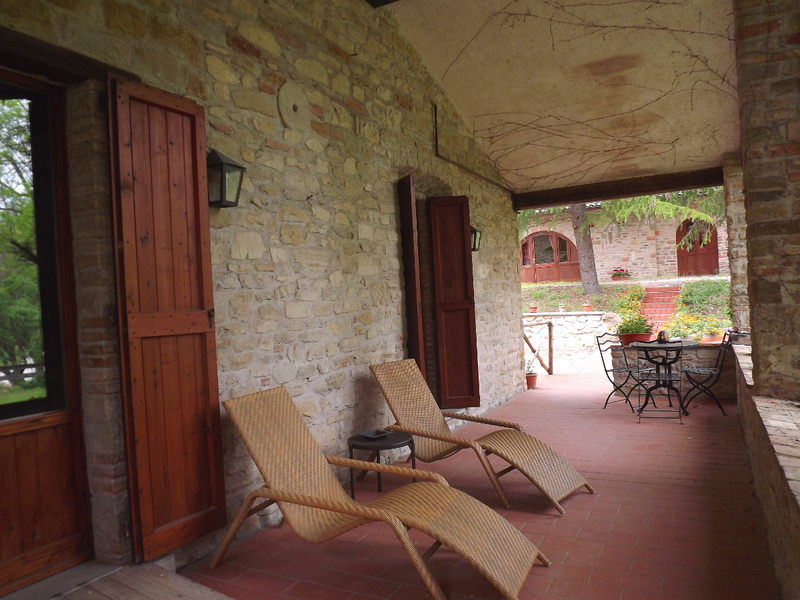 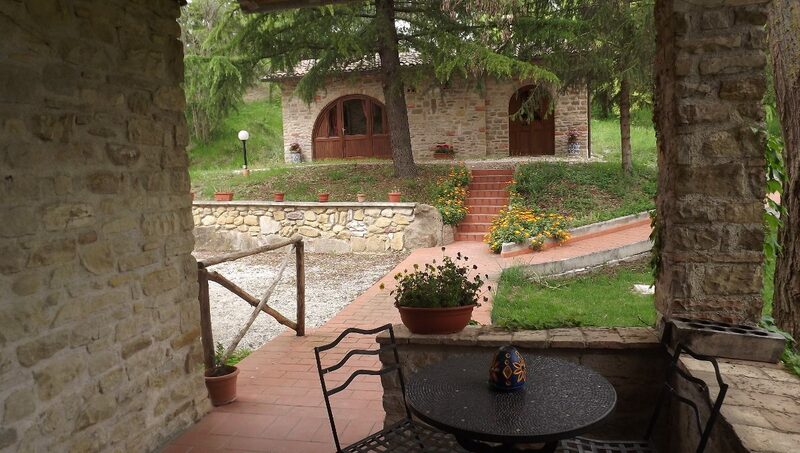 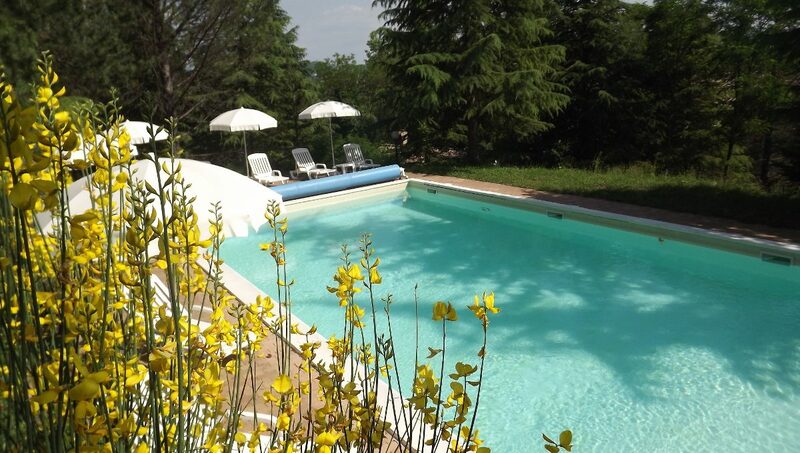 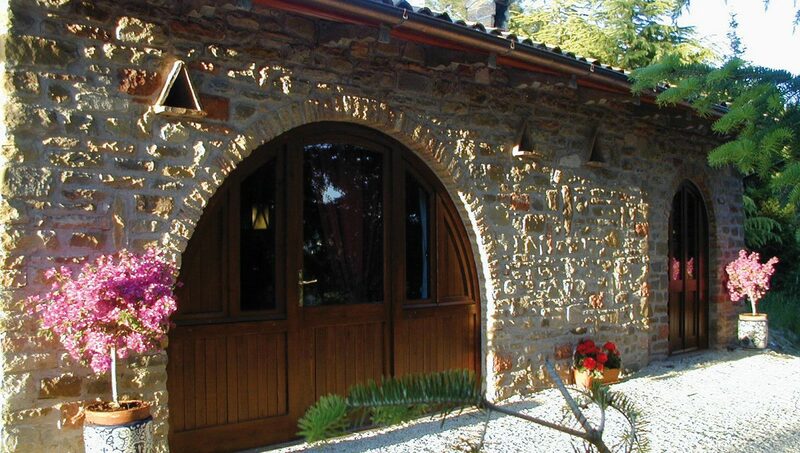 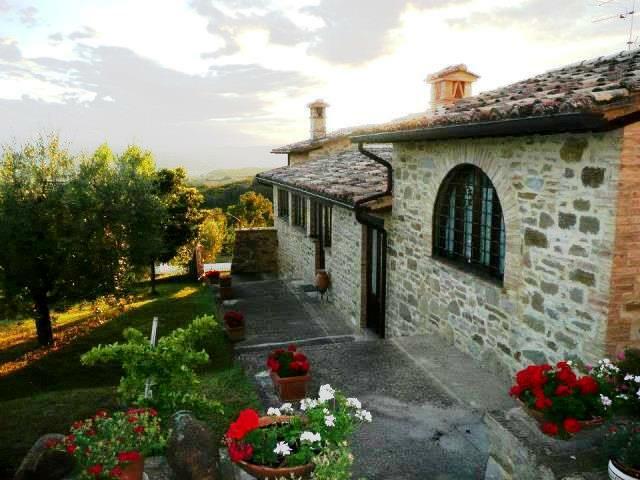 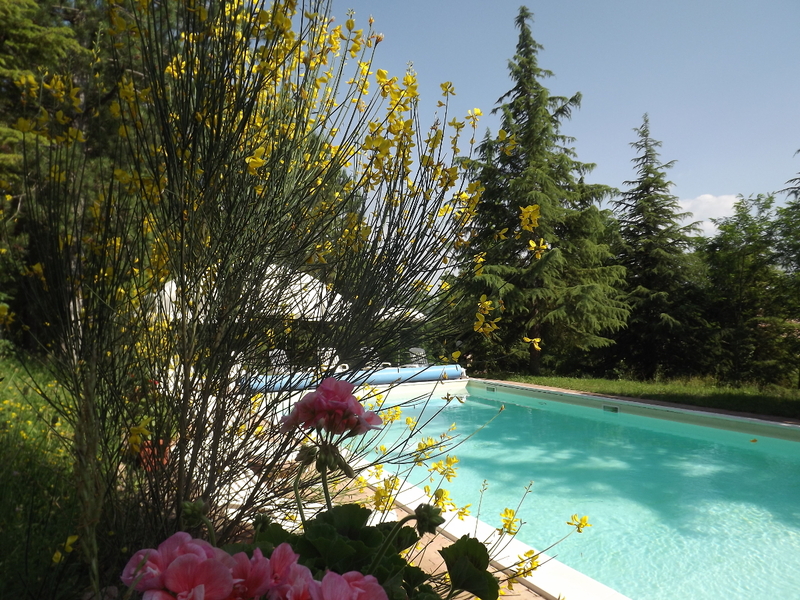 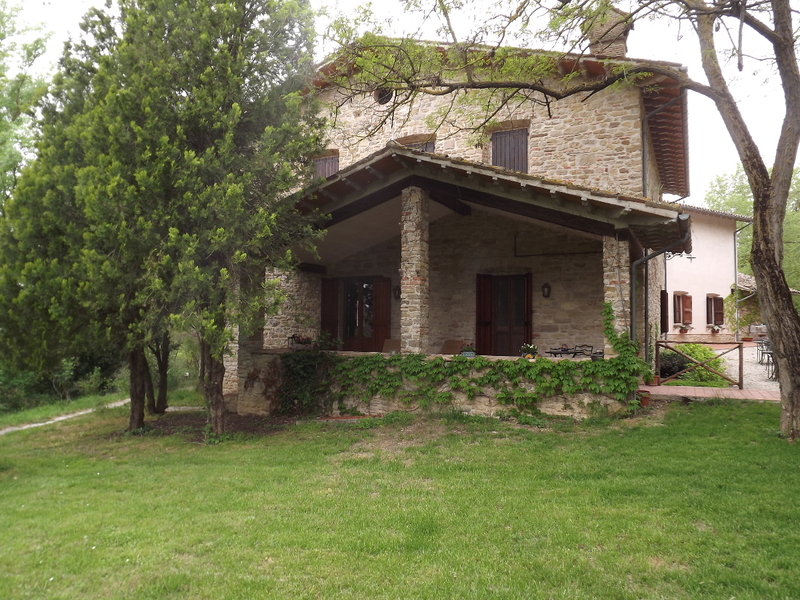 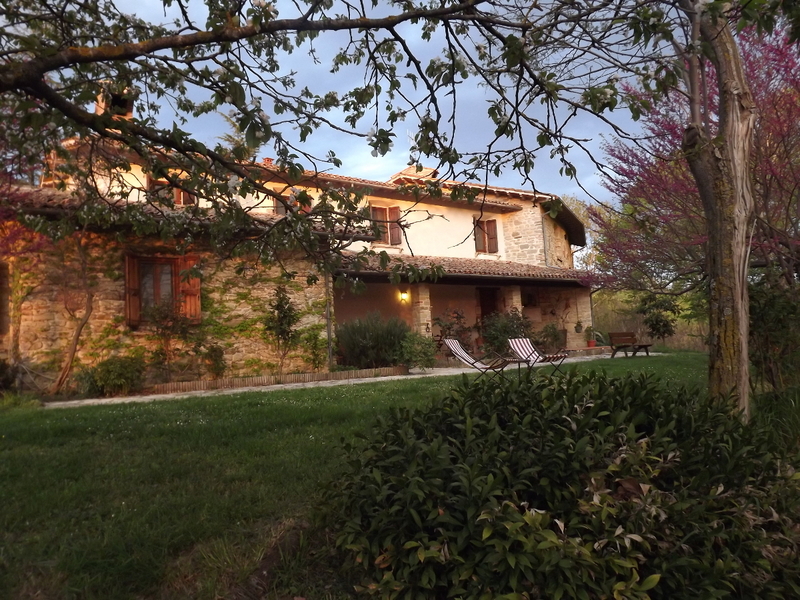 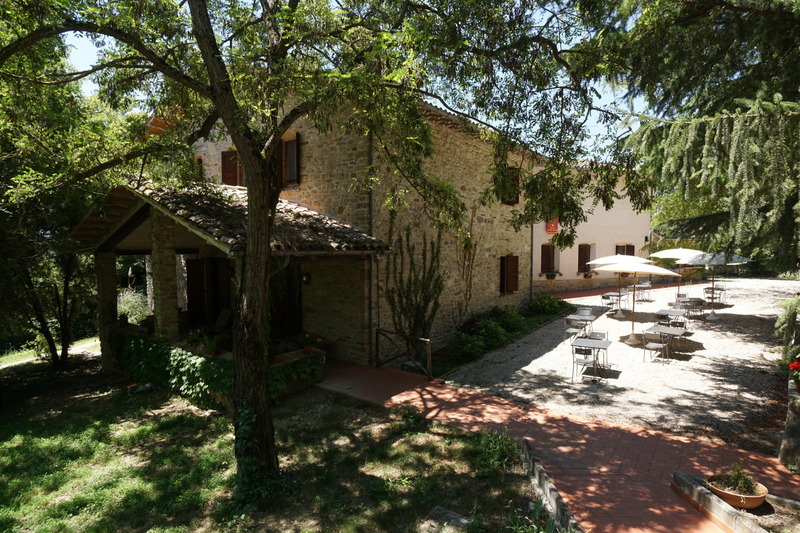 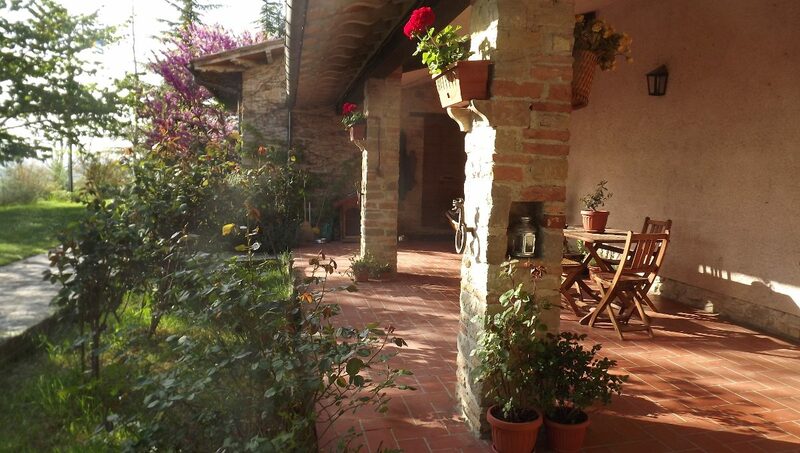 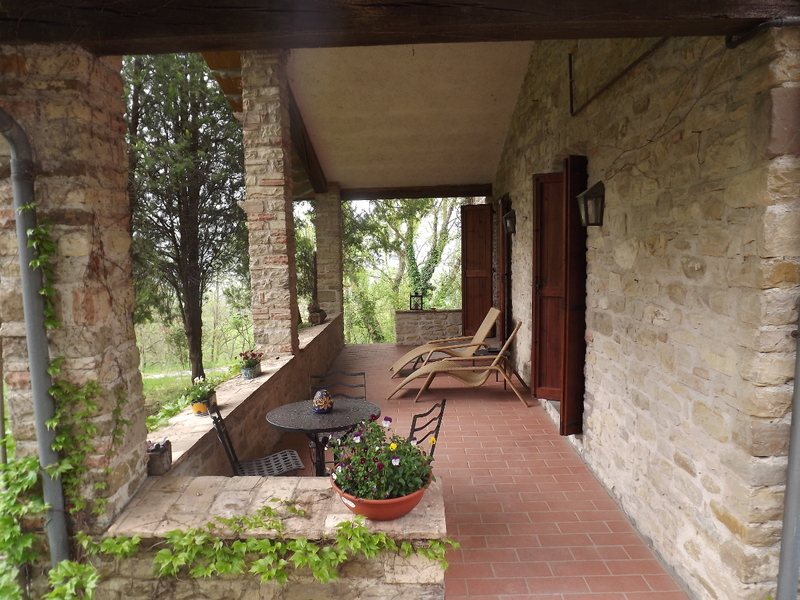 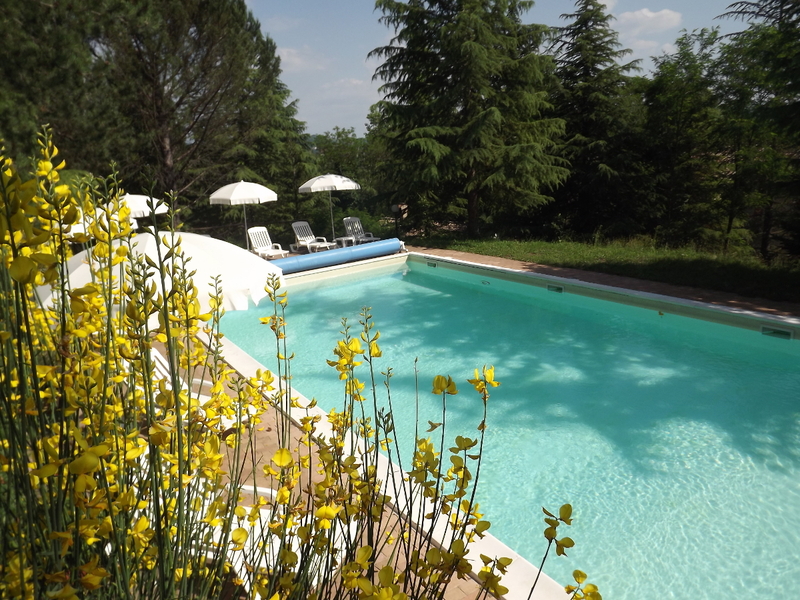 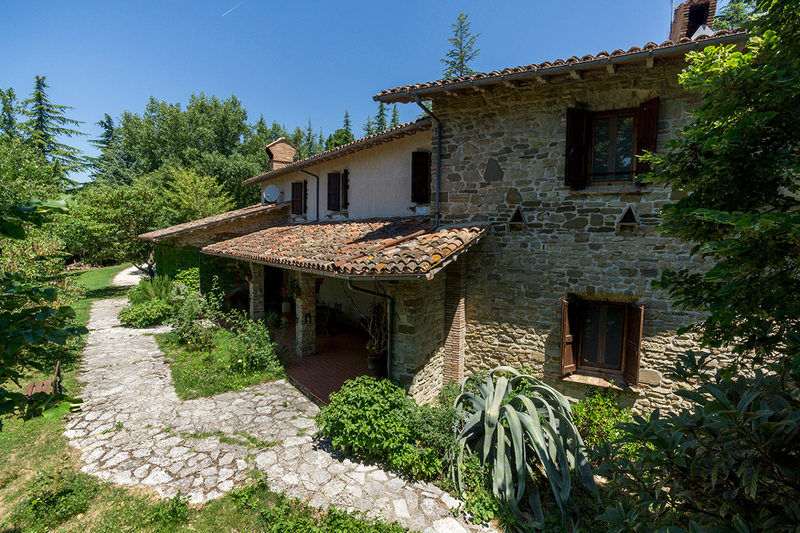 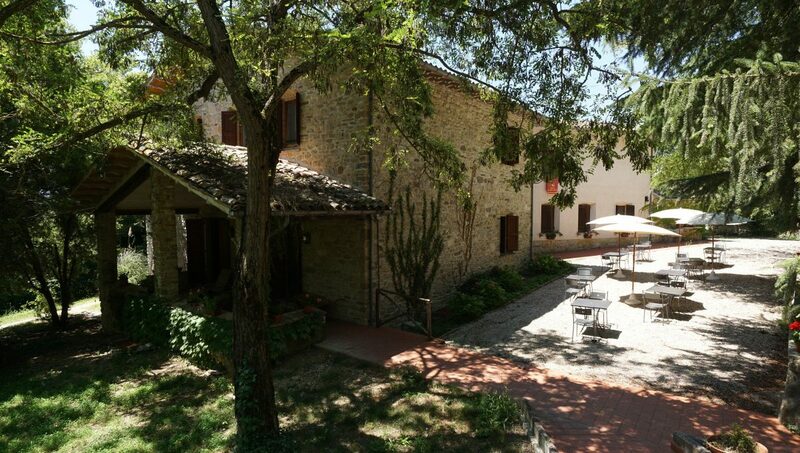 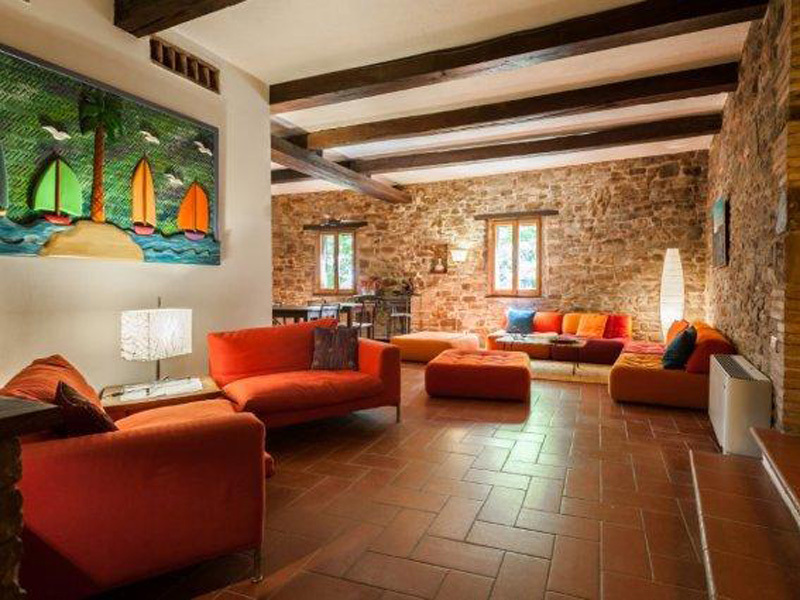 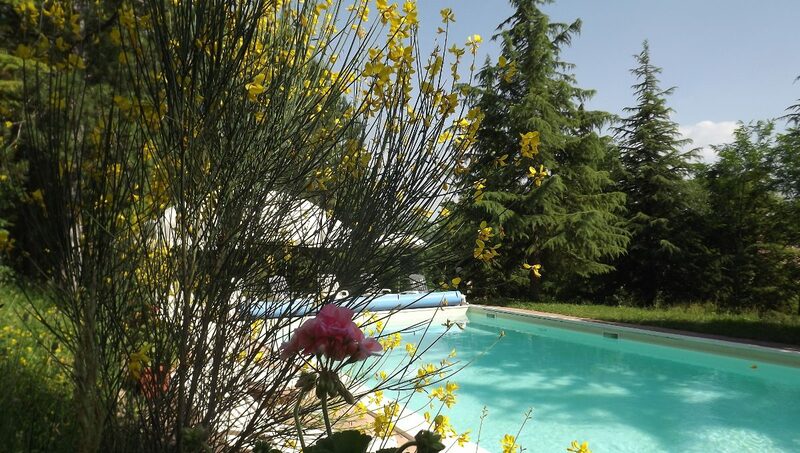 The villa is mostly made with local stone, perfectly renovated and maintained. 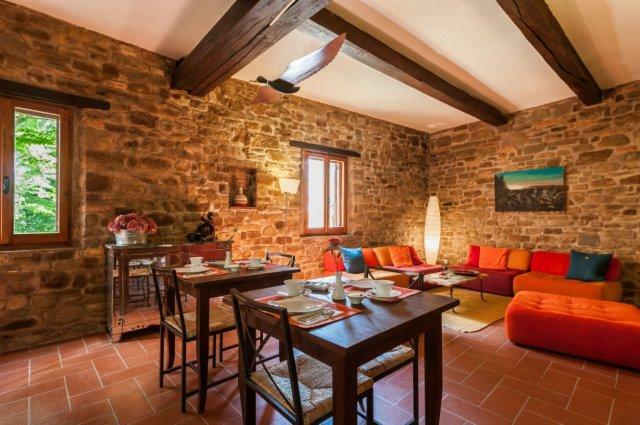 It was built in 1980 on the ruins of an ancient farmhouse and thoroughly restored in 2003. 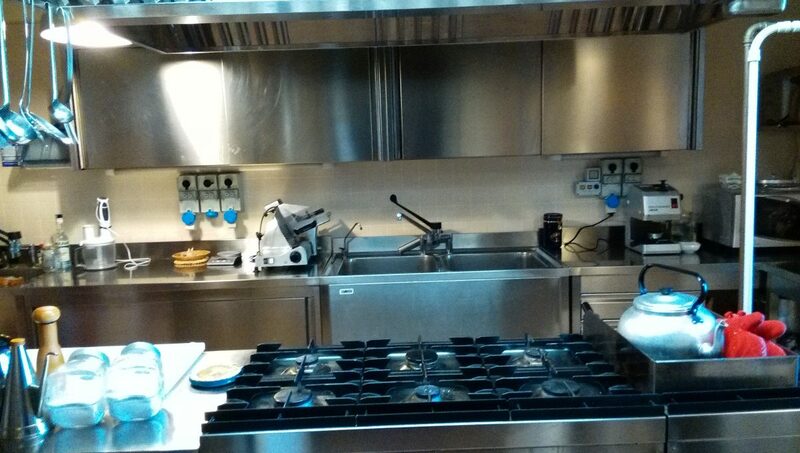 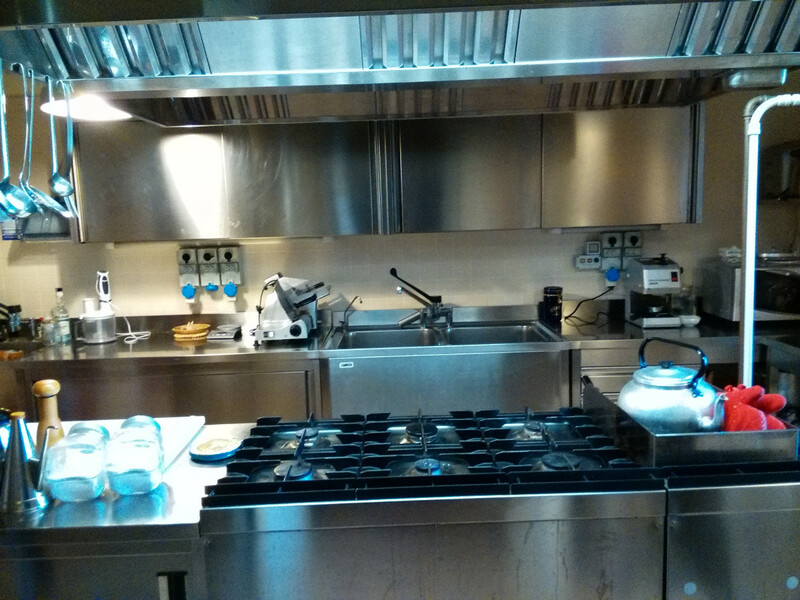 The renovation includes devices and systems up to current standards. 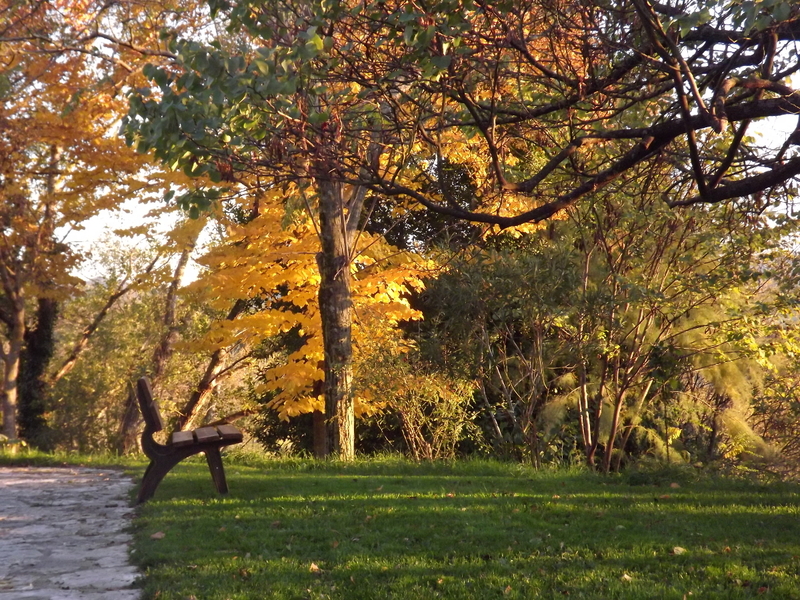 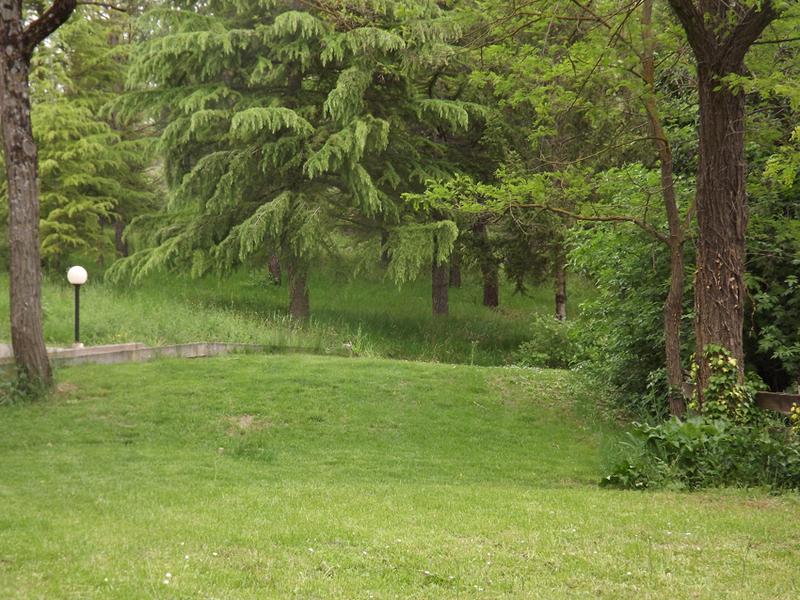 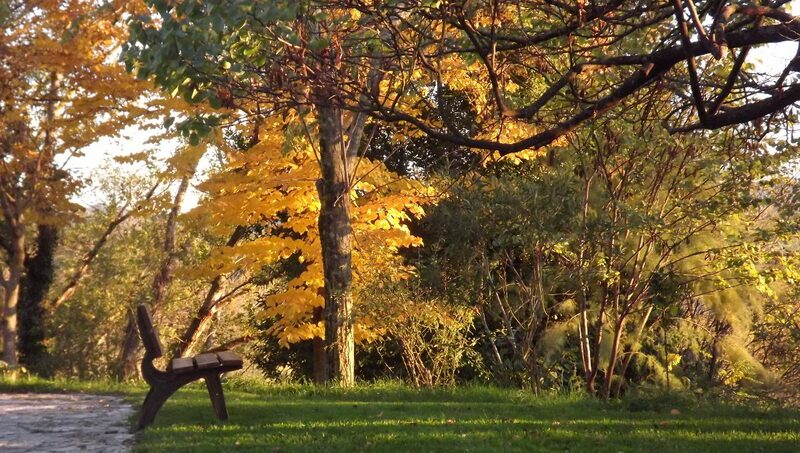 – a 13,34 acres park with wood, vegetable garden, fruit trees and a walnut trees grove for wood crop (200 trees). 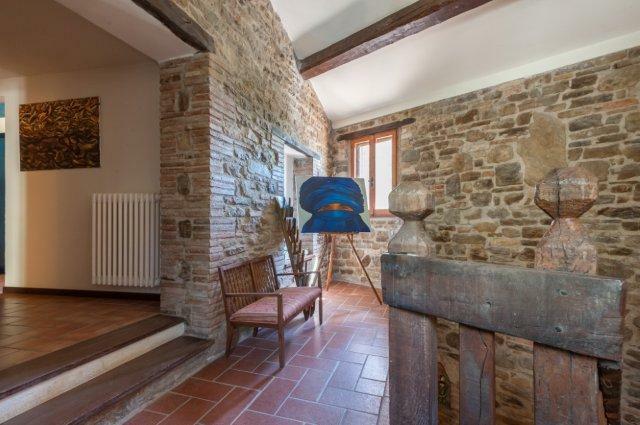 A huge and healthy agaves found its home at Casa Branca, in a corner facing the sun. 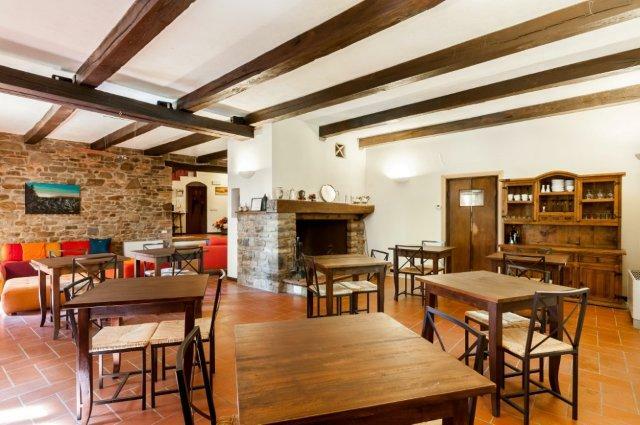 * restaurant area with a huge fireplace, facing the north-east porch, tables and chairs for a maximum of 18-20 people. 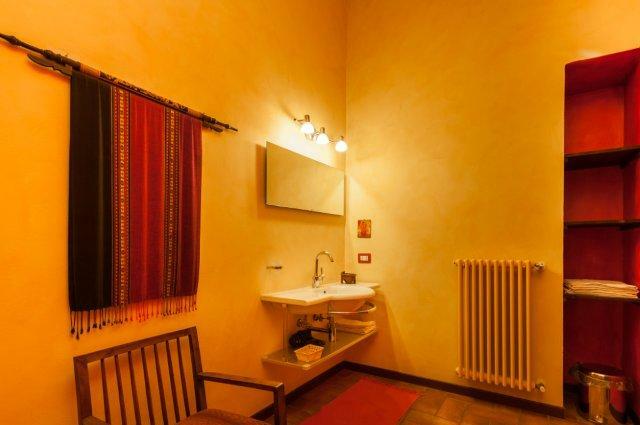 – technical area for wells water treatment (in addition to the connection to Gubbio aqueduct for drinkable water supply) and hot water storage for sanitary and heating (500 lts.) . 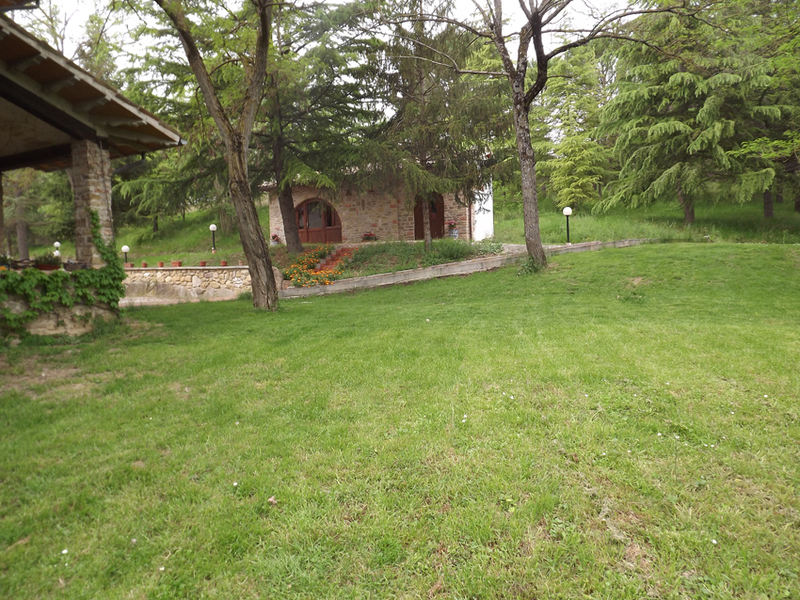 – large tunnel leading to covered parking area, perfect for storing gardening machines and equipments. 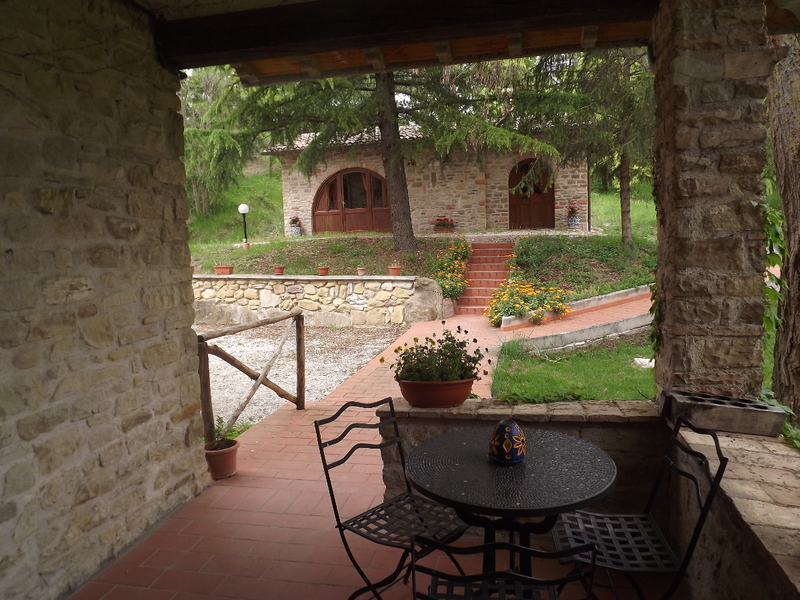 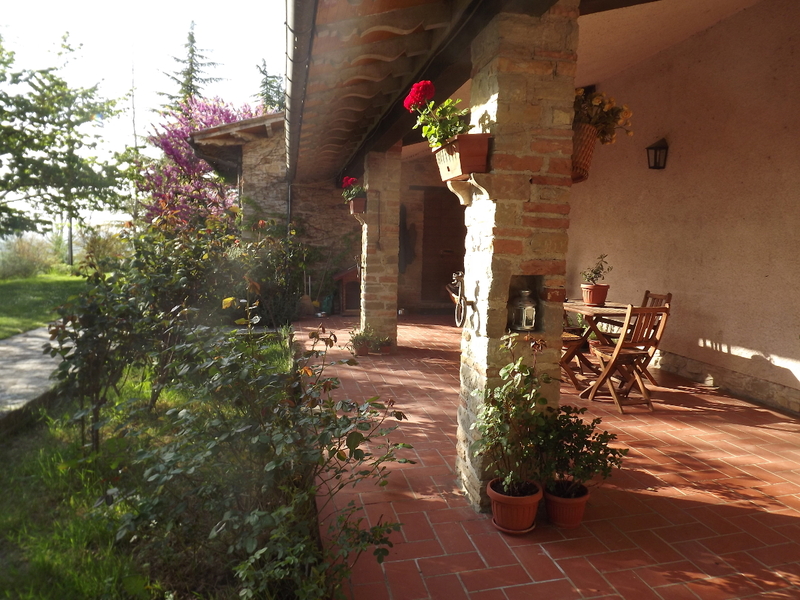 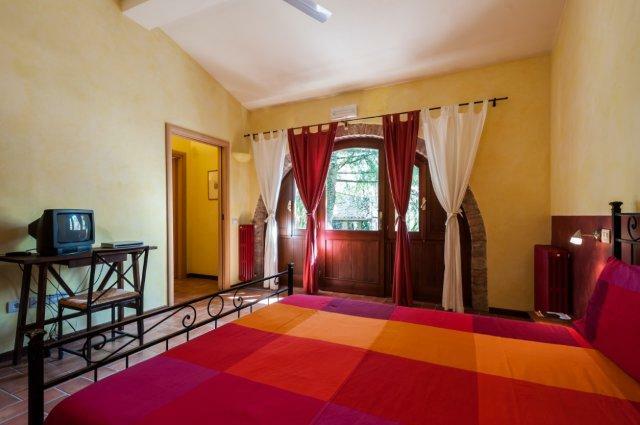 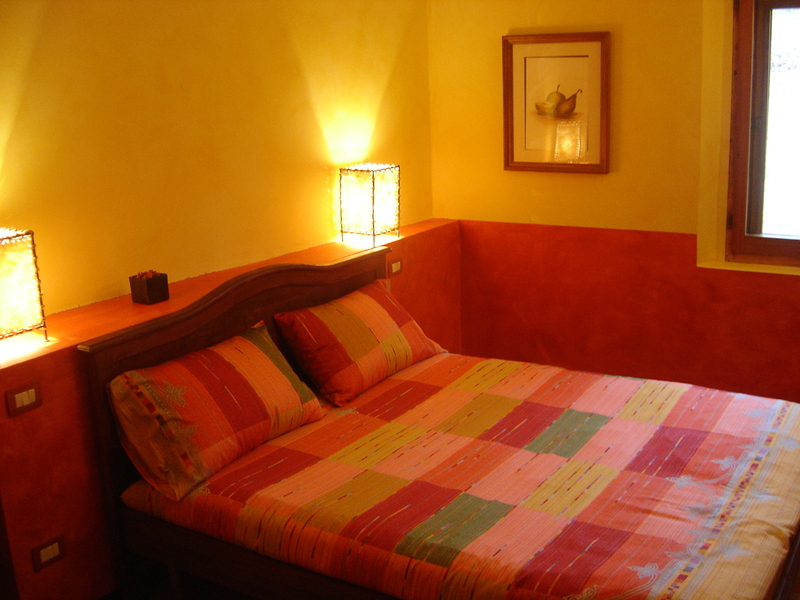 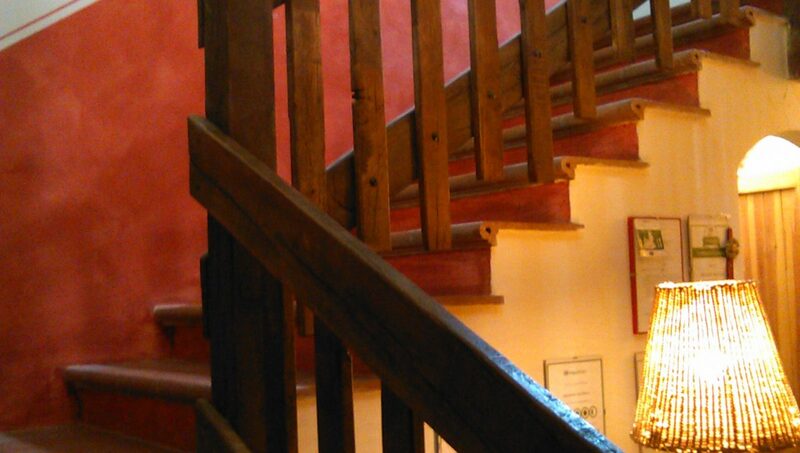 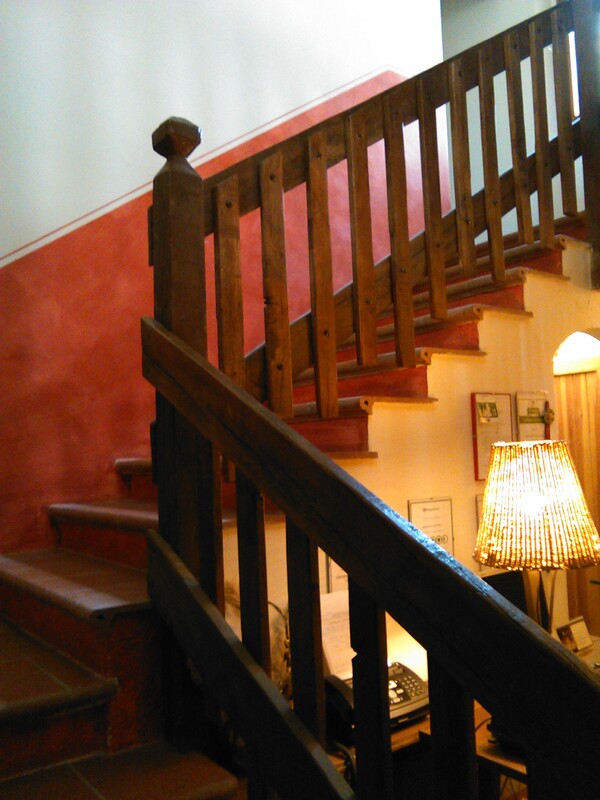 Fully restored cottage of around 40 sqm.at the ground floor, facing the garden at a few meters from the main house. 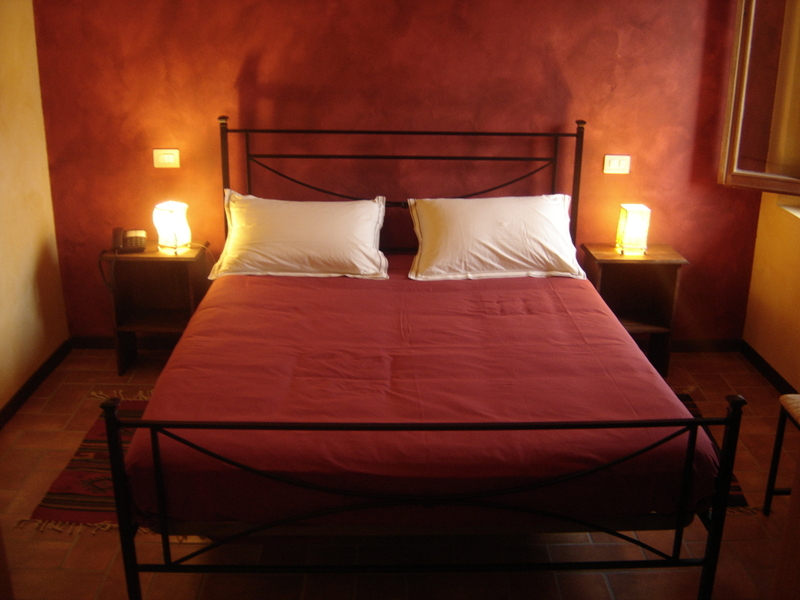 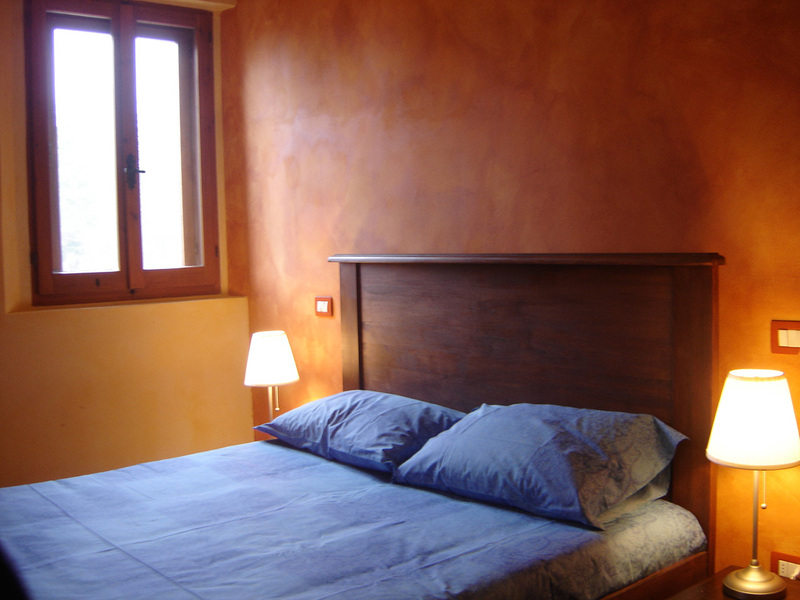 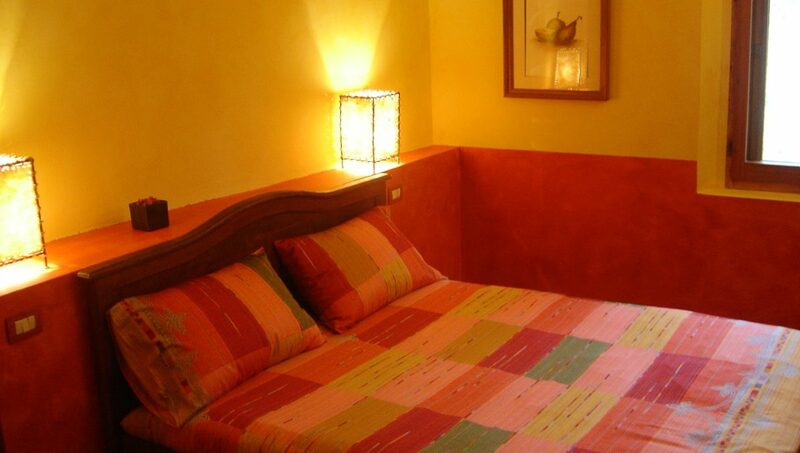 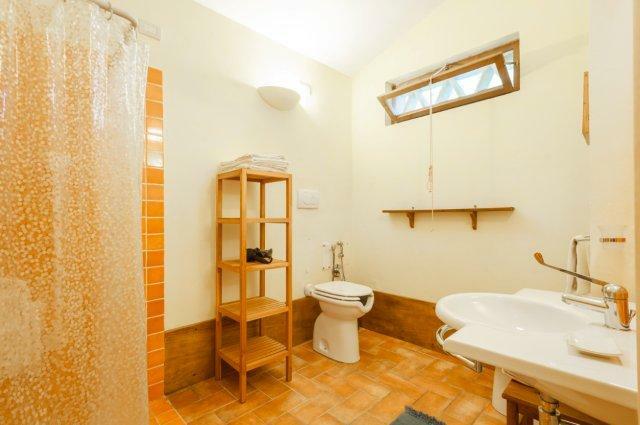 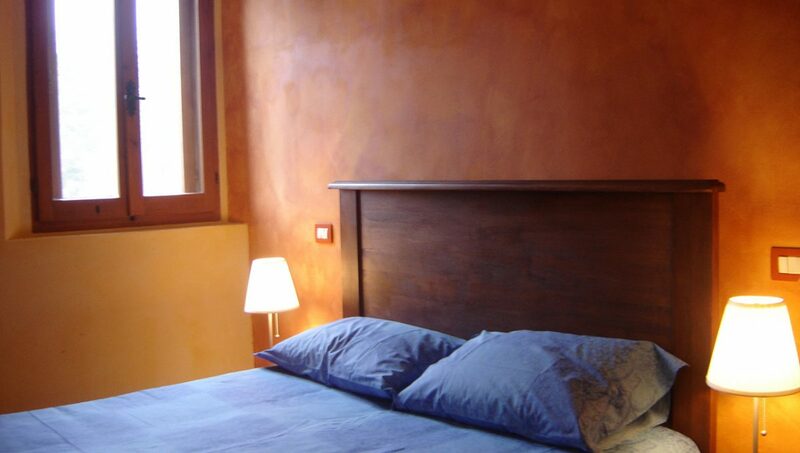 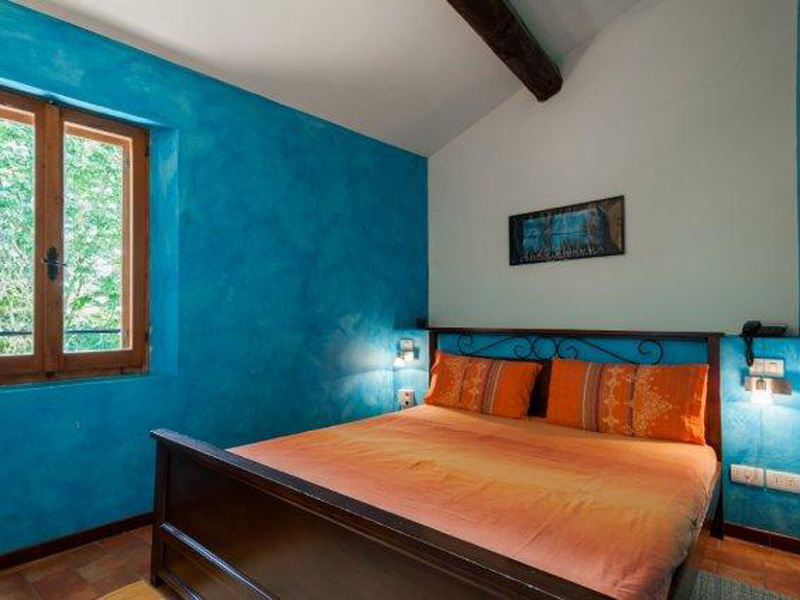 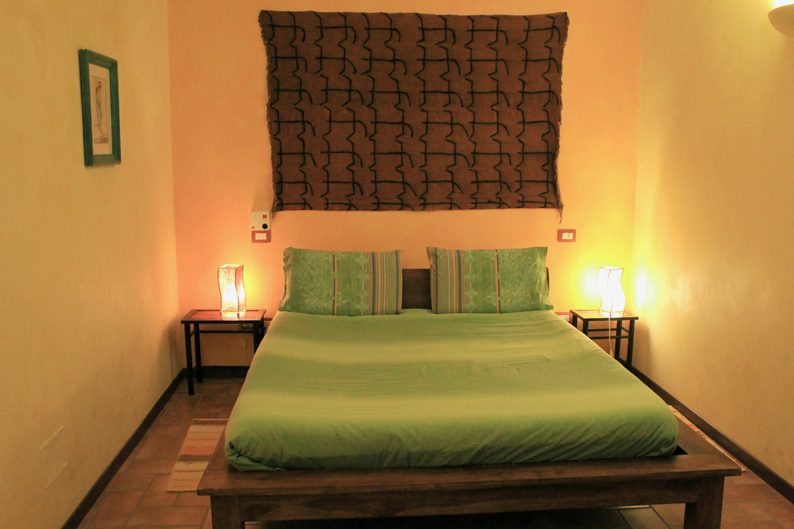 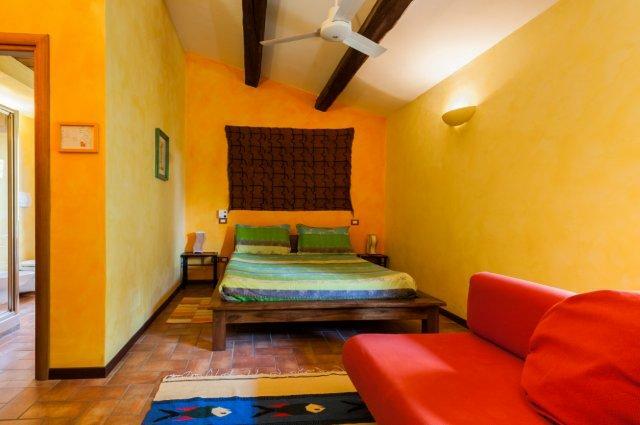 It consists of a large double room, a smaller bedroom and a bathroom with shower. 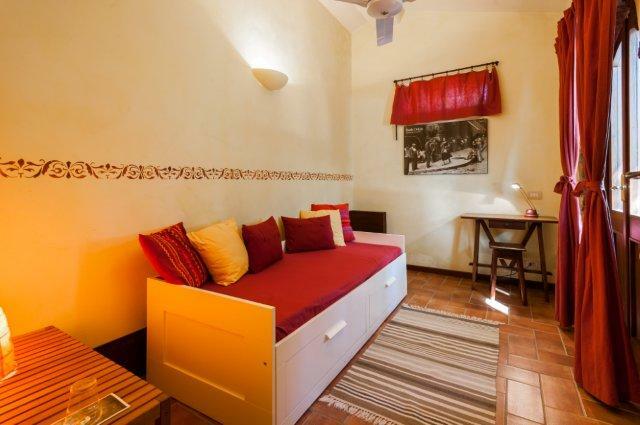 A private apartment of around 90 sq.mt. 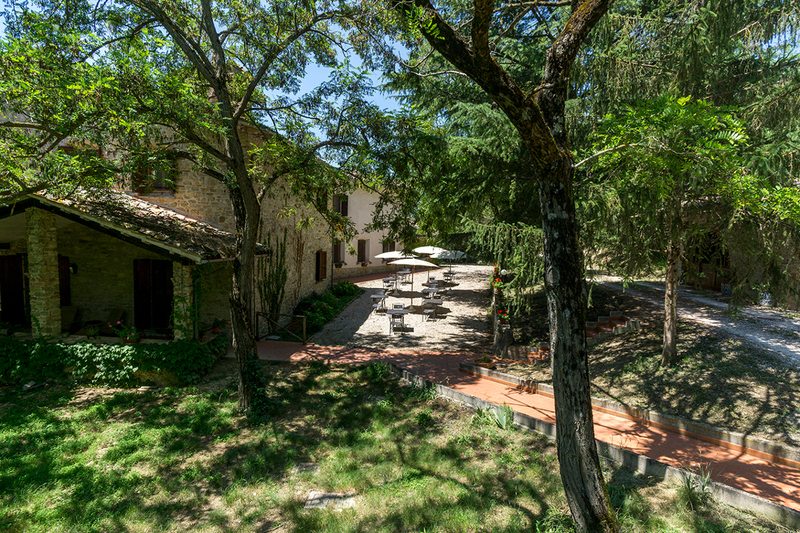 is connected with the main house through a large porch. 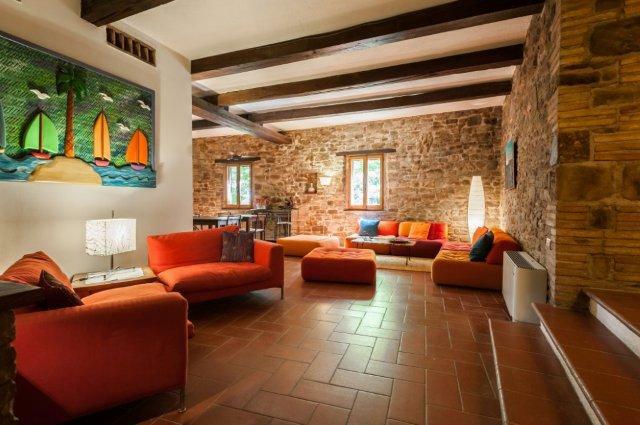 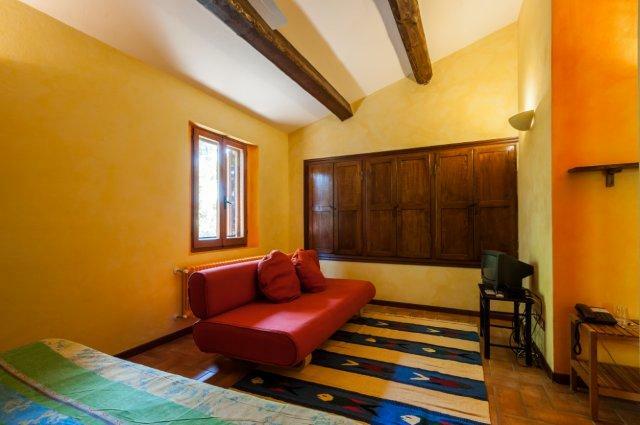 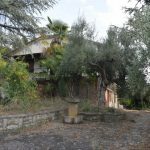 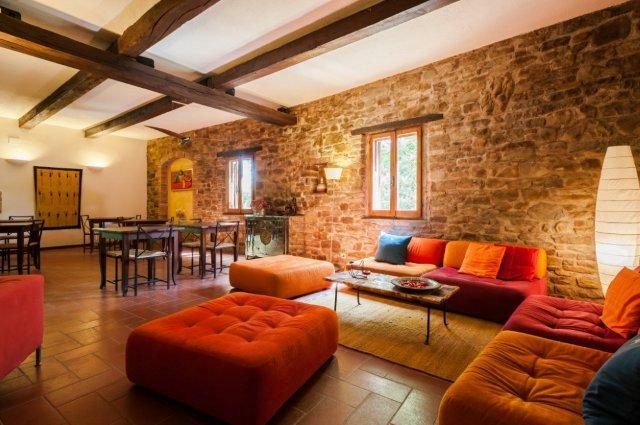 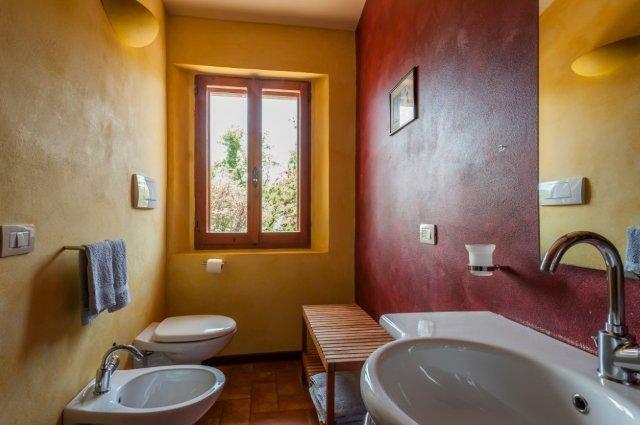 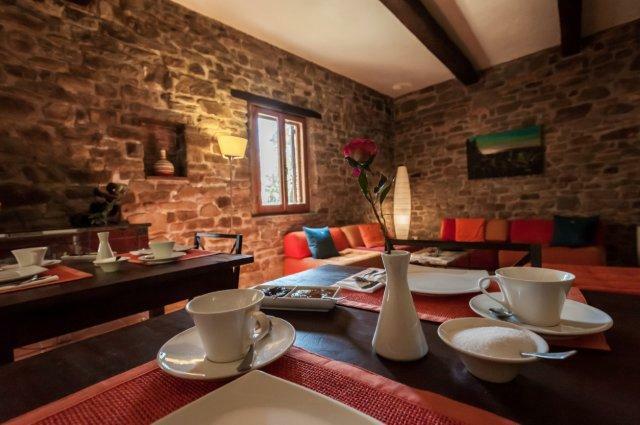 The apartment includes a large living with stone walls, wooden beams and cotto tiles, a kitchen, two rooms and a bathroom. 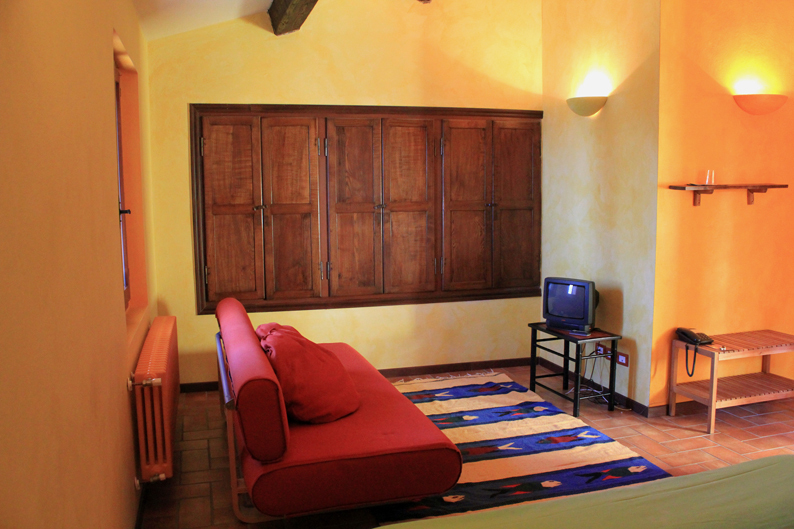 The apartment is heated with a thermo fireplace that feeds radiators in all rooms. 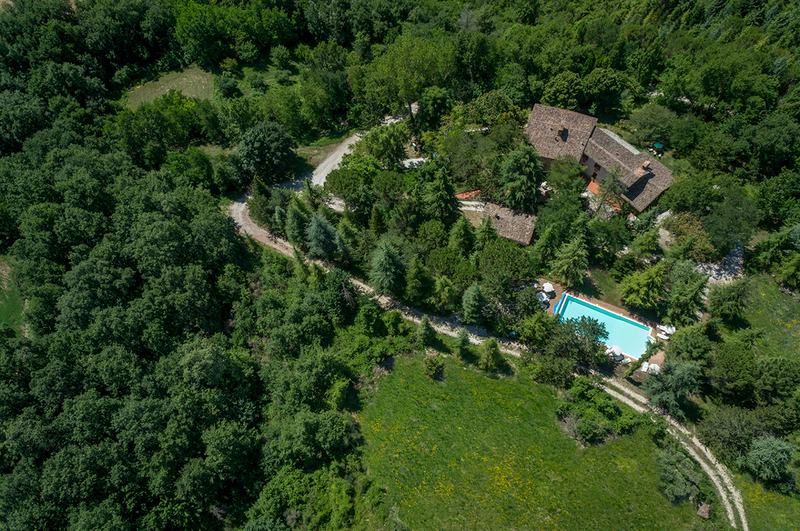 Around 13,34 acres mostly consisting of wood, fruit trees, walnut grove (200 trees), vegetable garden. 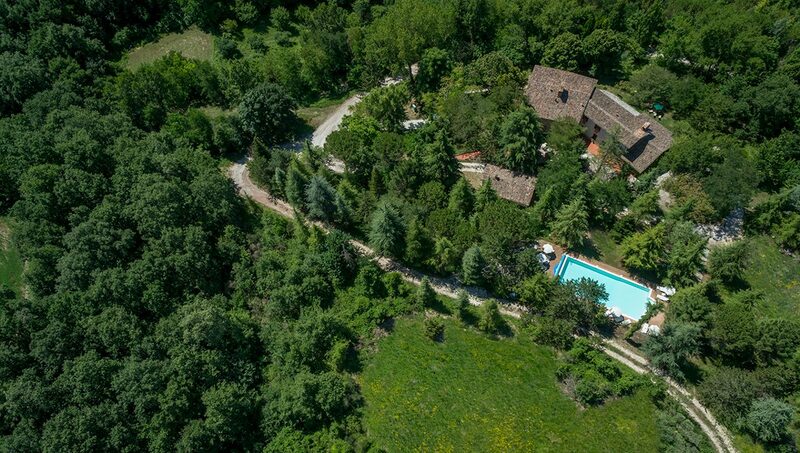 The area hosts 3 wells, wells water storage, sewer phytopurification system, night lightning, remote controlled gate,LPG storage. 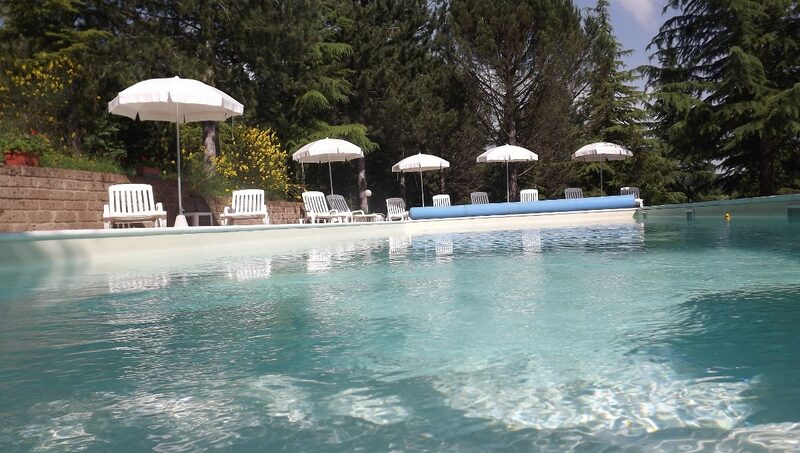 Fully equipped with beach loungers, tables and umbrellas, winter and summer covers, shower, night external and internal lighting. 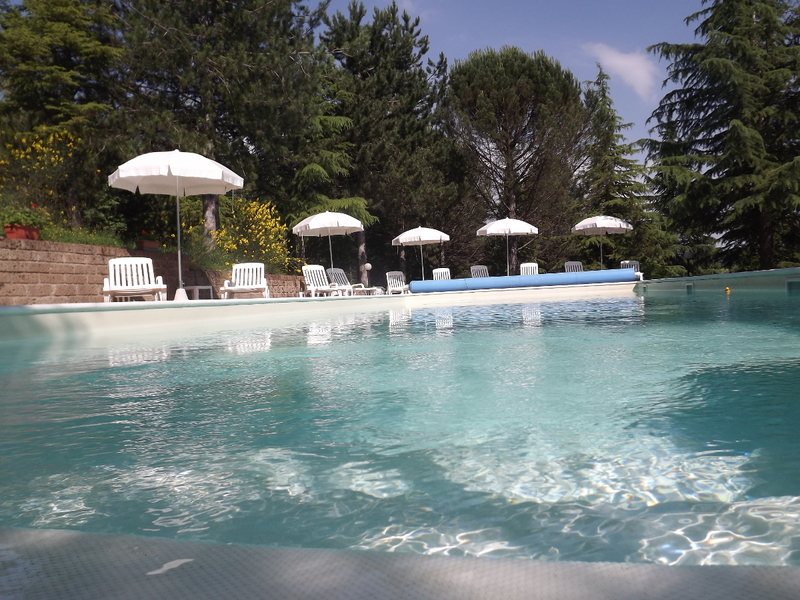 The pool also offers a paved access way dedicated to wheel-chairs. 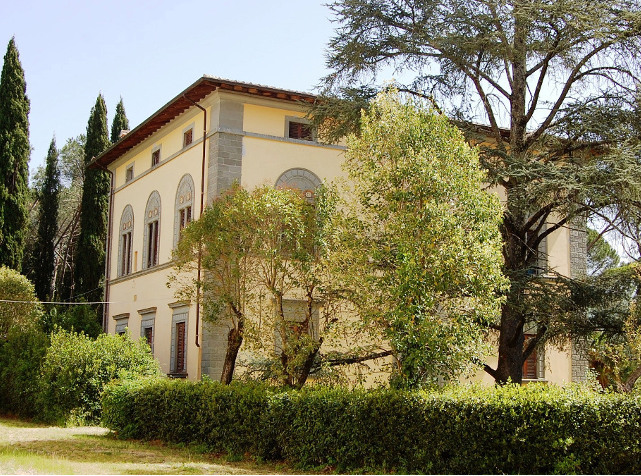 The property consists of two different street numbers which means it is not considered as a luxury villa in terms of fiscal regulations. 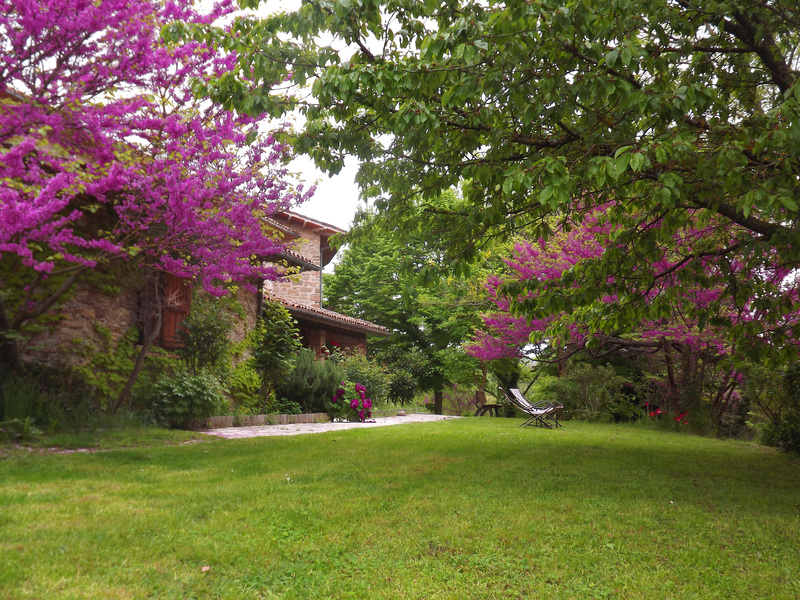 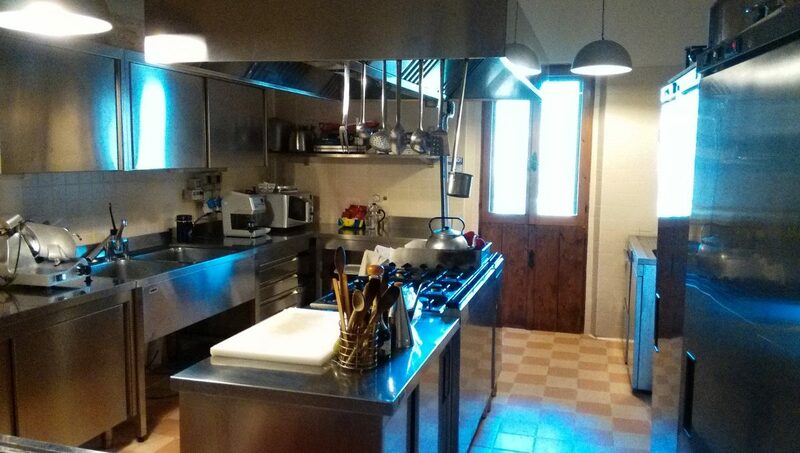 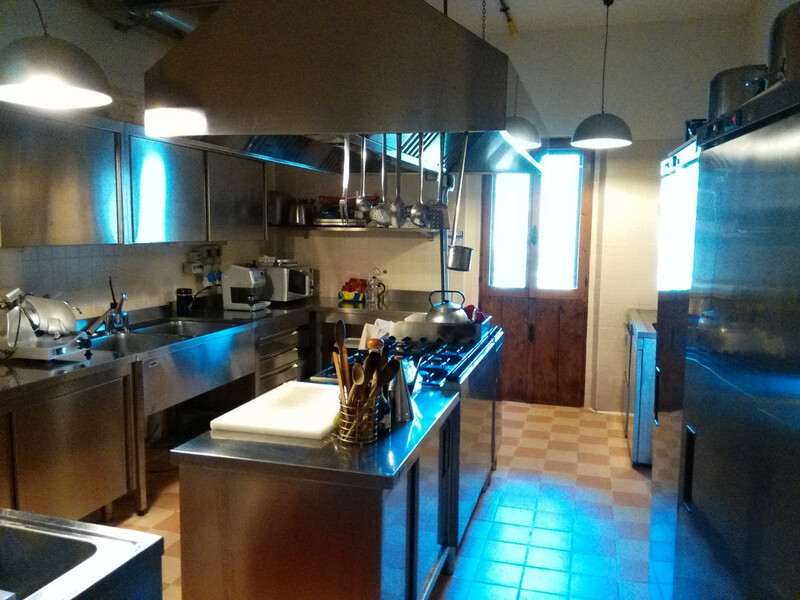 Furthermore, the Italian law recognizes agriturismos a favourable fiscal pressure.